I’ve been driving past this place every week and I finally found the time to stop by. 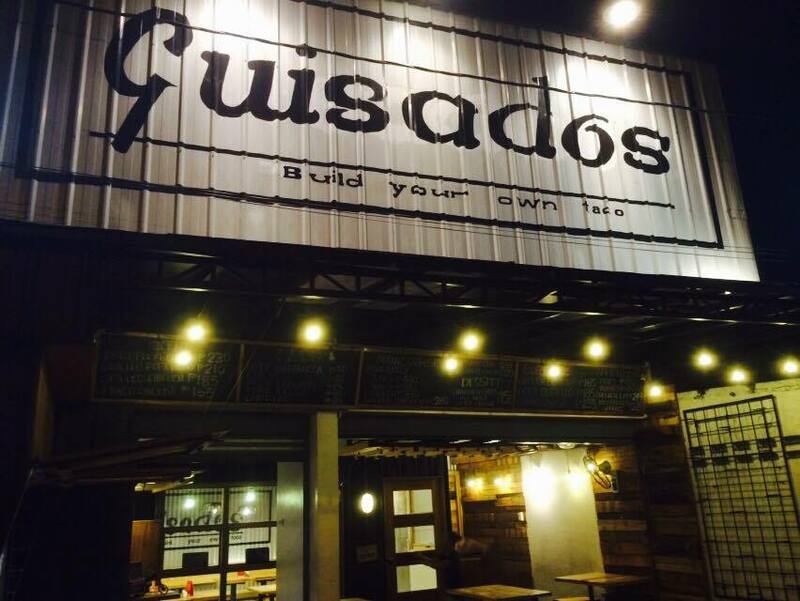 Guisados, the place where all the pretty motorbikes are lined up everyday. The place feels a bit claustrophobic, its like being in the car. Parking space would only accomodate about 4 cars at most. But the food would compensate for that. We had the sample taste of the soft tacos, sisig appetizer and an extra corn on th side. Here’s what it would look like from the outside. This would be the inside of the place. The place is very small and would accommodate only a few number of families and friends. Sizzling Sisig Php 150 which came with soft tacos and a spicy sauce. I ordered an extra sour cream sauce on the side. 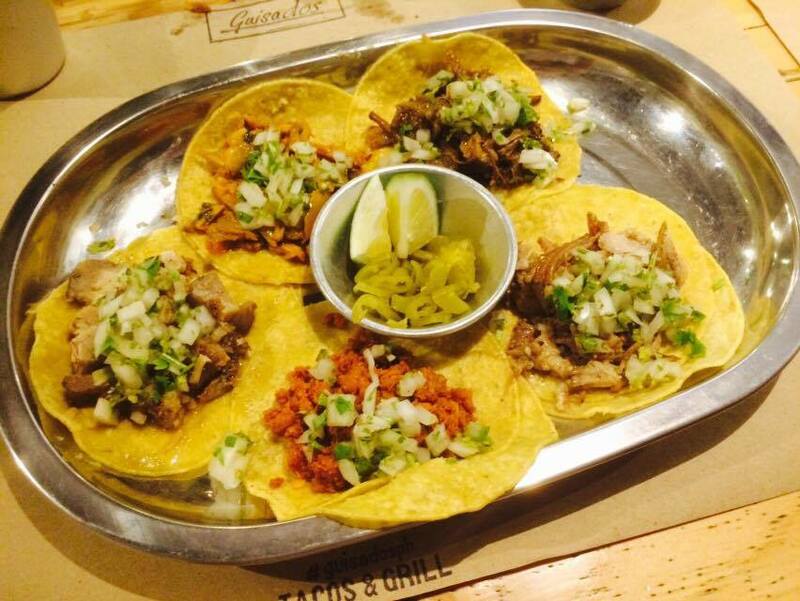 5 sampler tacos Php 239. It may look small but it is VERY filling. Budget: At most your budget would probably be Php 500 for 2 persons. The price ranges from about 100-300 per meal. Orders are just the right serving size. 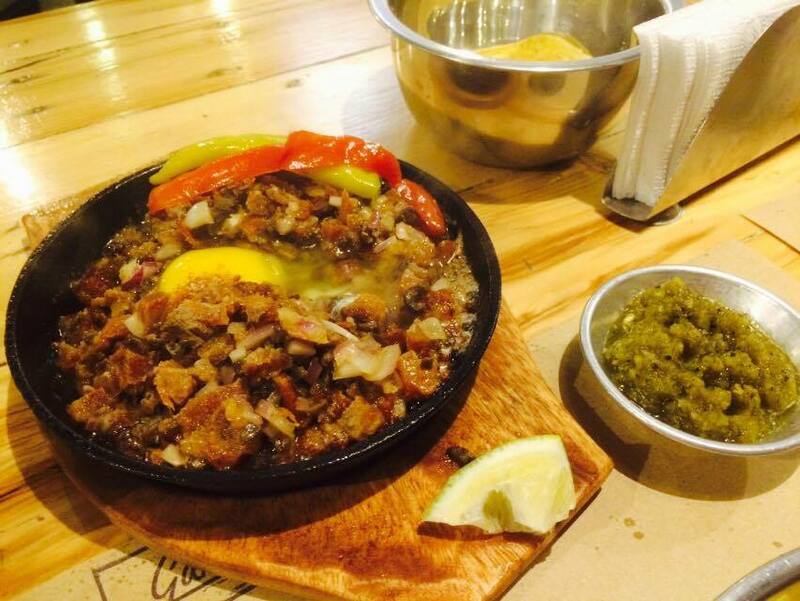 Recommendation: I really loved the sisig. They told us that the soft tacos were the best sellers. But we tried all of the soft tacos and I still say that the sisig should be a best seller. I would definitely come back here for a quick merienda meal. The location and parking is probably the only downside to this place, but then again Congressional is a booming place for food parks and new restaurants. I hope to see more in their menu next time! Would definitely come back for more of that Sisig and next time I’d like to try their Quesadillas when I finally can stomach cheese after this stomach flu.